Looking for guidance from a trusted source – when your staff need to quickly check the best way to proceed on a compliance matter, can you afford to let them rely on word of mouth – or a simple web search? A practical means of reinforcing compliance – Personal Compliance Booklets offer a cost-effective reference tool for individual employees, setting out their continuing responsibilities on a range of important topics. The perfect complement to your training – booklets enable you to provide a lasting reminder of the serious points made in your training. Booklets are revised to reflect changes to the law, so you can be sure your staff are receiving the correct advice. Give each member of staff their own personal reference guide, with easy access to the right information. Each booklet includes a handy checklist for the employee to sign, confirming they’ve understood their obligations. Versions available for different business sectors – a practical reference guide for staff explaining the latest requirements on Anti-Money Laundering, Counter-Terrorist Financing and the Facilitation of Tax Evasion – with up-to-date guidance on the 5th EU Directive and changes prompted by Brexit. Up-to-date guidance on Data Protection and Information Security – an essential guide for staff on the latest Data Protection laws, highlighting the significant changes brought about by GDPR and underlining the importance of keeping your firm’s information secure. 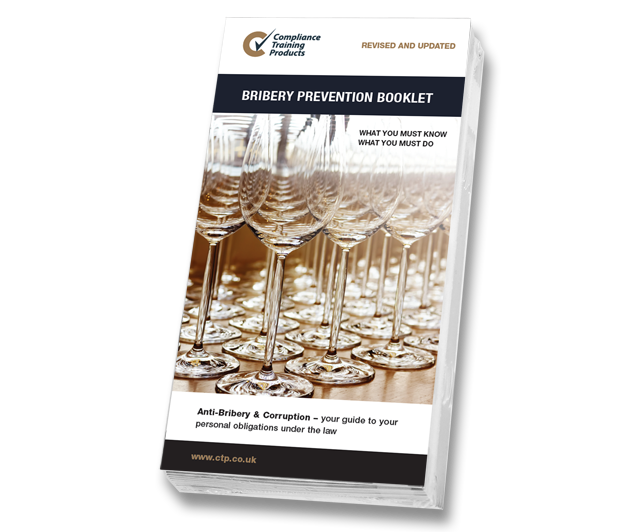 A useful reference guide for staff – offering clear advice on the types of situations to be wary of, and the procedures that must be followed to avoid committing a bribery offence. Booklets are an effective way to remind your staff of the serious risks to themselves and to your organisation. 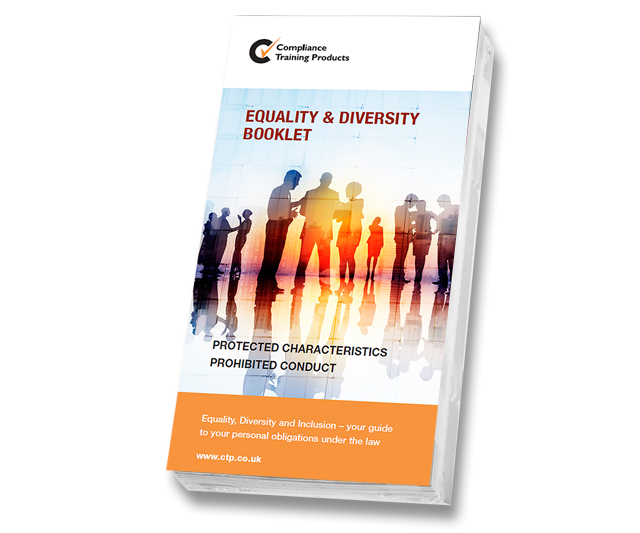 Essential guidance for all staff – these handy booklets explain the Equality Act in straightforward terms, highlighting the types of behaviour that must be avoided and the importance of treating clients and colleagues fairly.